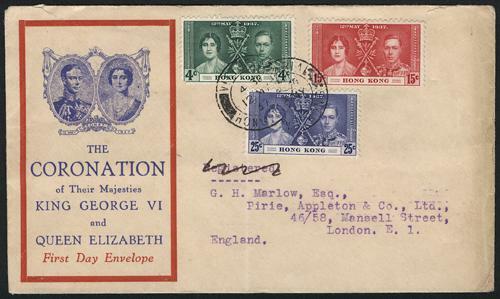 1937 (May 12) KGVI Coronation illustrative FDC (Yang C3), showing rare type of illustration. Cover folded once at middle. VF-F.